Equipment autonomy linked to Building Information Modelling could signal the start of an era of automated construction. 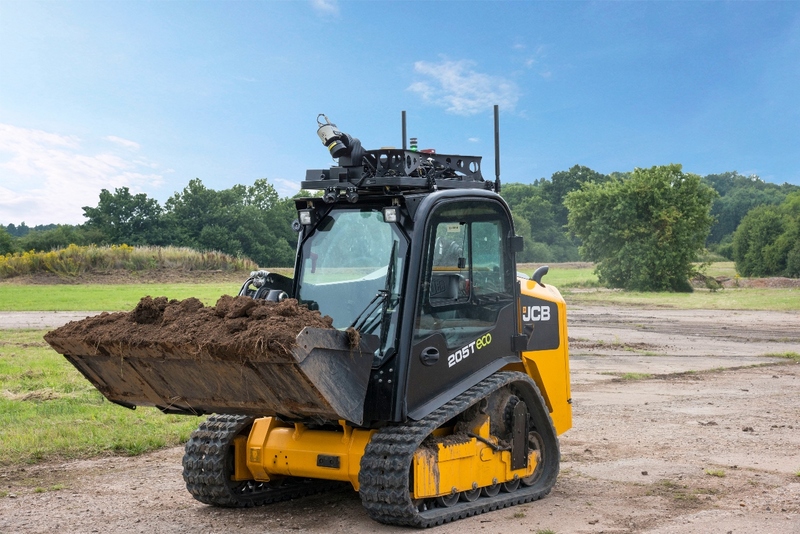 HORIBA MIRA has completed a joint project with JCB to develop three unmanned construction machines, capable of conducting autonomous remote mapping, surveying and construction operations. The Intelligent Autonomous Digital Construction Machine project (IADCM), which began in 2015 following support from Innovate UK, led to the development of three demonstration machines in total, including an All-Terrain Vehicle, an excavator and a skid steer track loader from JCB. Machines were equipped with multiple cameras, 3D LIDAR and GPS technology and are integrated with centralised collaborative Building Information Management (BIM) to enable augmented, tele-operated and autonomous site preparation and construction. The IADCM project was led by HORIBA MIRA and brought together partners JCB Services and Cable Detection Ltd, Leica Geosystems and Leica Machine Control as subcontractors, and Kier and Skanska as industrial advisors. The wider aim of the project was to research future construction techniques involving automation, information technology and machine guidance, to facilitate an innovative approach to creating, sharing and using BIM data on site during the construction phase of a project. This research will aid construction teams to streamline processes, reduce operational costs and improve site safety. Following the completion of the project, HORIBA MIRA will look to conduct further demonstrations and customer trials.